By Gary M. Rubenstein M.S. 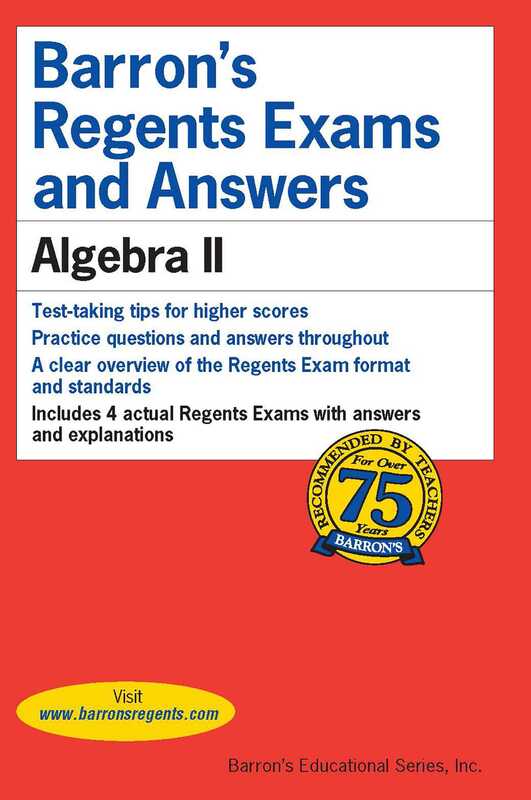 Barron's Regents Exams and Answers: Algebra II provides essential review for students taking the Algebra II (Common Core) exam, including actual exams administered for the course, thorough answer explanations, and comprehensive review of all topics. All algebra II topics are covered, including Polynomial Equations, Rational Equations, Exponential and Logarithmic Equations, Systems of Equations with Three Variables, Functions, Sequences, and Probability. Looking for additional practice and review? Check out Barron’s Algebra II Power Pack two-volume set, which includes Let’s Review Algebra II in addition to the Regents Exams and Answers: Algebra II book. More books from this author: Gary M. Rubenstein M.S.